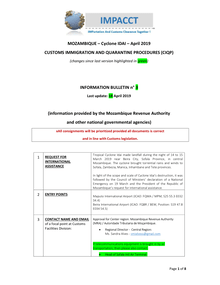 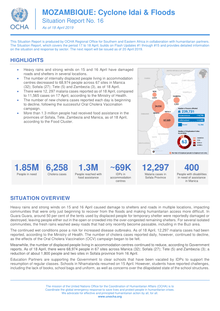 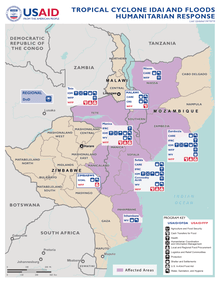 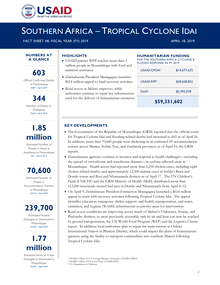 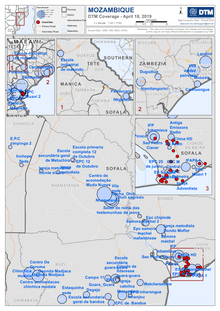 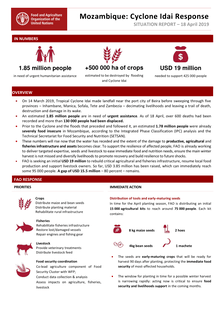 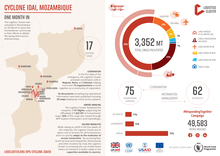 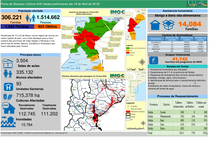 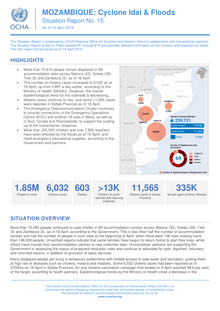 The humanitarian situation in the Central Mozambique is dire: at least 1.8 million people are estimated to be in need of humanitarian assistance. 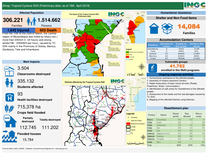 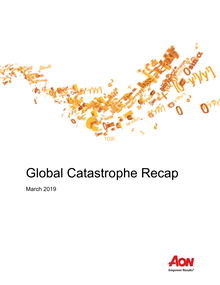 The National Institute of Disaster Management estimate that 1,190,594 people – 54% of the population – have been affected, while a further 160.927 people are living in accommodation center. 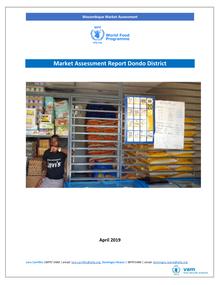 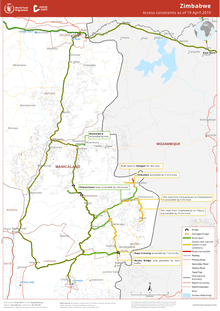 In Dondo district 166,551 people have been affected out of 185,012 people representing 90% of the Dondo population.